Here are some tips to help prevent your kids from having back pain caused by backpacks! Back pain is more prevalent in children and teenagers than ever before. According to the American Chiropractic Association (ACA), overweight backpacks are contributing to this problem. A study from Italy found that the average child carries a backpack that would be the equivalent of a 39-pound burden for a 176-pound man, or a 29-pound load for a 132-pound woman. Of those children carrying heavy backpacks to school, 60 percent had experienced back pain as a result. Preliminary results of studies conducted in France show that the longer a child wears a backpack, the longer it takes for a curvature or deformity of the spine to correct itself. 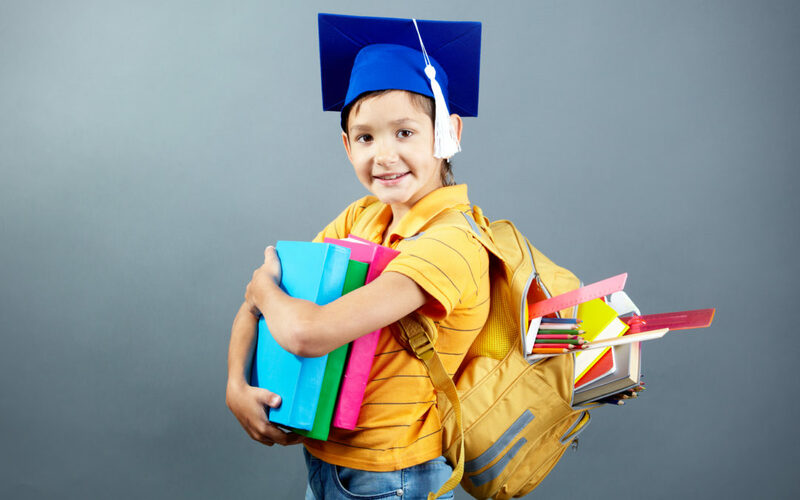 · Your child’s backpack should weigh no more than 5 to 10 percent of his or her body weight. · The backpack should never hang more than four inches below the waistline. When the backpack is carried too low, it increases the weight on the shoulders & causes your child to lean forward when walking. · Encourage your child to wear both shoulder straps. Using one strap can cause the weight to shift to one side, leading to neck and muscle spasms, as well as low-back pain. · Wide, padded straps are much more comfortable. The straps should be adjustable and fitted to your child’s body. If the straps are too loose it can cause discomfort, spinal misalignment, and pain. If you or your child are experiencing any back pain from backpack use or other factors, please contact Dr. Corey Bowden for an appointment!